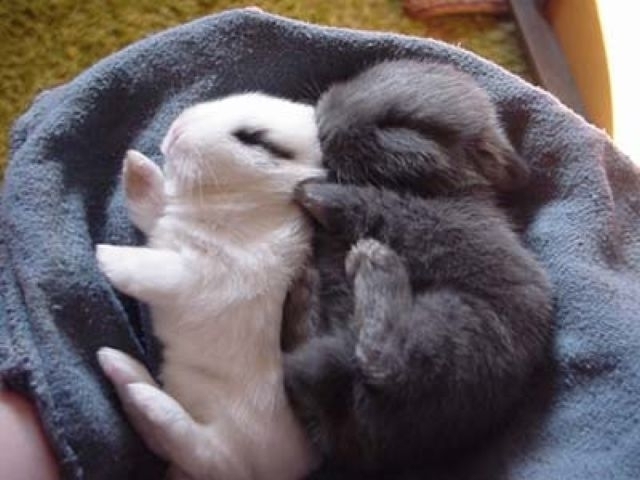 MetaChat - Spooning babby bunnies! OMG! The unbearable cuteness of fuzzy things on fuzzy things next to fuzzy things. 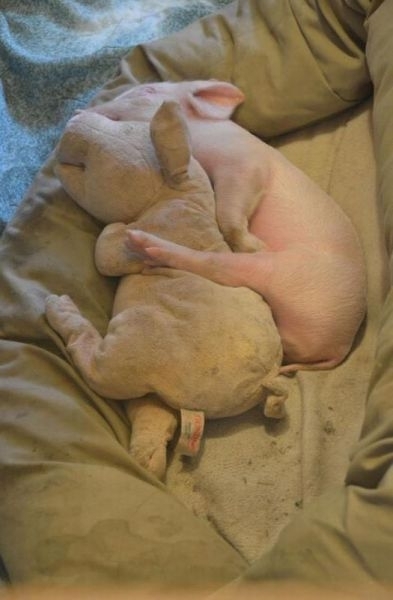 And here's a baby piglet spooning his toy piglet. Oh the cuteness! The piglet one reminds me of the Geico commercial with the "weee! "-ing piggie. How sweet... makes me feel guilty for liking ribs.